Engineers at the University of California, San Diego (UCSD) have discovered a method to increase the amount of electric charge that can be stored in graphene, a two-dimensional form of carbon, which could increase battery storage capacity. The research, published in the journal Nano Letters, may provide a better understanding of how to improve the energy storage ability (energy density) of capacitors for potential uses in cars, wind turbines, and solar power. Capacitors charge and discharge very fast (have fhigh power density), so they are useful for quick large bursts of energy, such as in camera flashes, but they store less energy than batteries. The industrially viable solution to increasing charge capacity, found in the lab of mechanical engineering professor Prabhakar Bandaru at the Jacobs School of Engineering at UCSD, was to take advantage of defects — holes corresponding to missing carbon atoms — in graphene material. To do that, the team used argon-ion based plasma processing to bombard graphene samples with positively charged argon ions. That knocked out carbon atoms, leaving behind “holes” containing positive charges, which increased the capacitance of the materials three-fold. 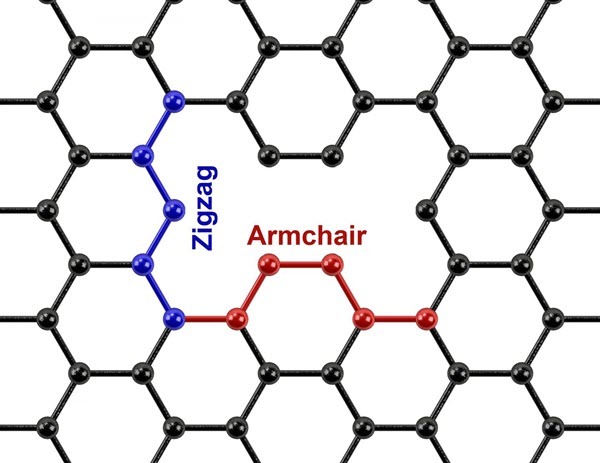 These “armchair” and “zigzag” defects are named based on the configurations of the missing carbon atoms. The team also discovered a new length scale that measures the distance between charges that can “provide a basis for how small we can make electrical devices,” said Bandaru. It is shown that charged defect generation, through argon ion-based plasma processing, in few layer graphene, could substantially enhance the electrical capacitance for electrochemical energy storage. Detailed consideration of the constituent space charge and quantum capacitances were used to delineate a new length scale, correlated to electrically active defects contributing to the capacitance, and was found to be smaller than a structural correlation length determined through Raman spectroscopy. The study offers insights into an industrially viable method (i.e., plasma processing) for modifying and enhancing the energy density of graphene-based electrochemical capacitors.